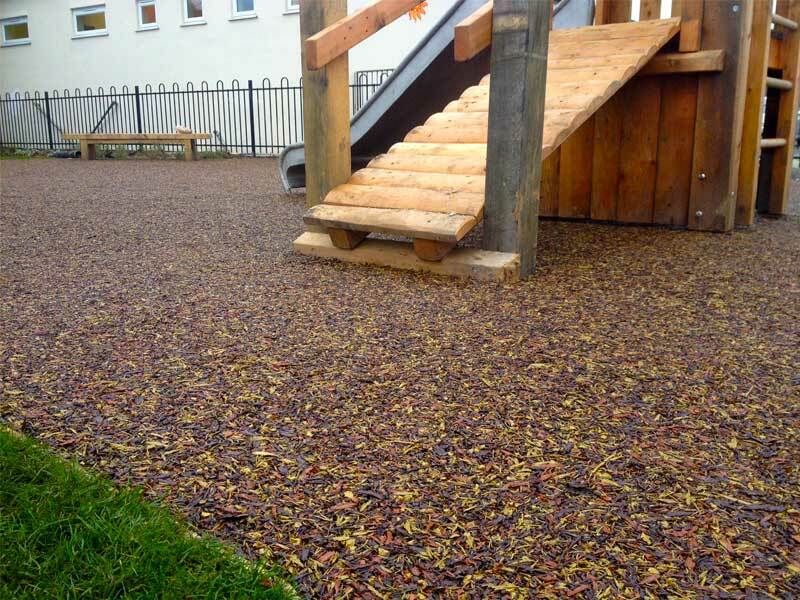 Gives the appearance of bark chippings without the mess, Bonded Rubber Mulch is a safe play area installed around children’s play areas such as swing parks, climbing frames, Schools and nurseries. Rubber Mulch is available in a variety of colours. 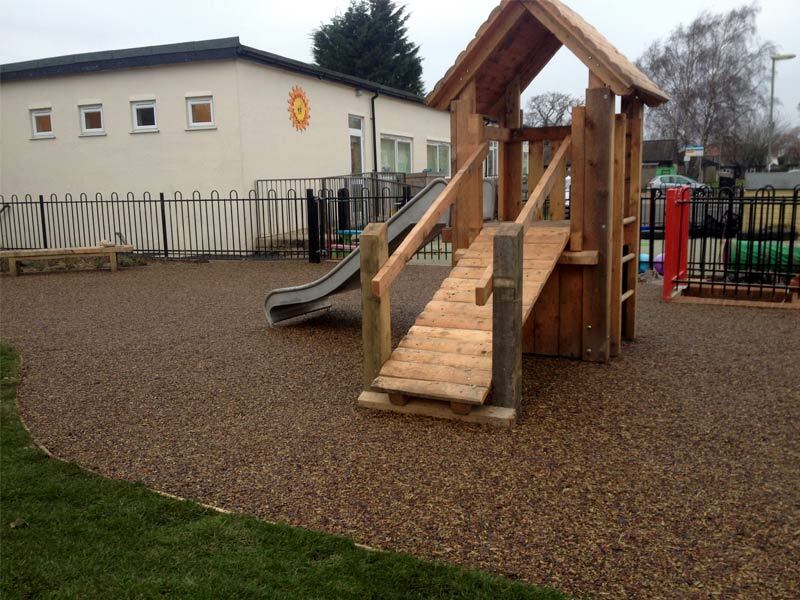 Rest assured that your StyleSeal safety play surface will be installed to meet British Standards. Each and every project is unique, offering a complete service from the initial design stage, through to the finished product. Our technical team are available to advise on any questions or queries relating to our StyleSeal safety play surfaces. A safe seamless, bright colorful surface, can be laid to bespoke patterns and designs in various depths. 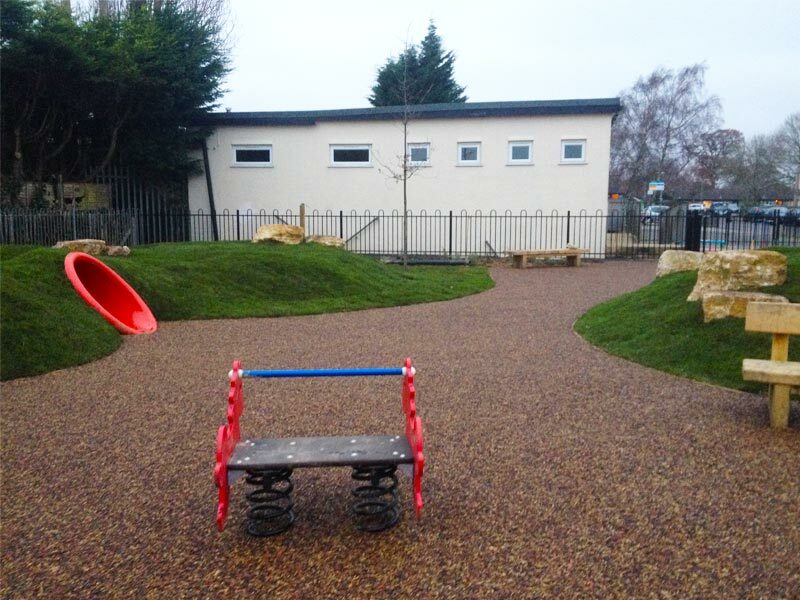 A soft safe impact absorbing surface for Children’s play areas.